As a good dog owner, you may feel obligated to help your four-legged friend find puppy love, but where do you start? You could take your dog on a walk to the park to check out other dogs hanging around with their owners. But do you really want to go through all that work? I mean, a park is outside, where ticks, fleas, and sunburns live. Plus, part of going on a walk is that you have to walk. Why go through all that work when you can let your furry best friend check out other dogs from your phone? 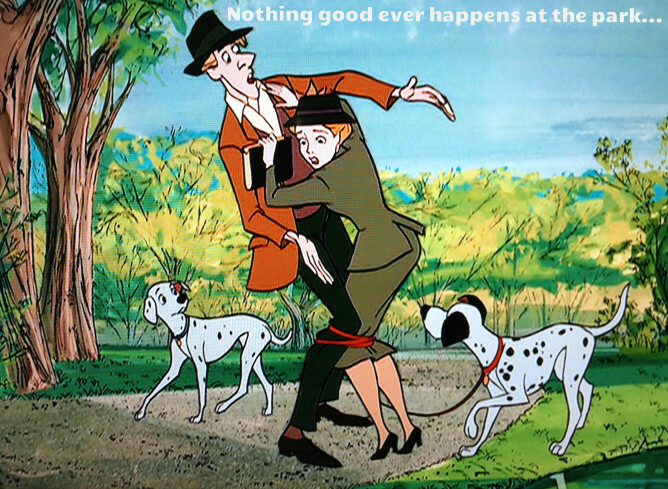 No, seriously, you can actually let them do that now, thanks to a new app called Tindog. 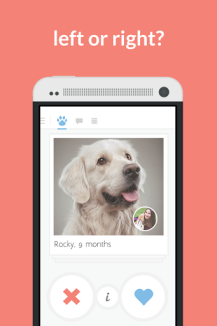 Tindog is exactly like the popular dating app Tinder, but for dogs. 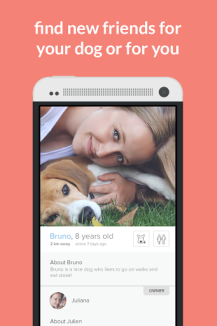 Tinder is, without a doubt, the best way for humans to find lasting true love, so why shouldn't this work for dogs too? 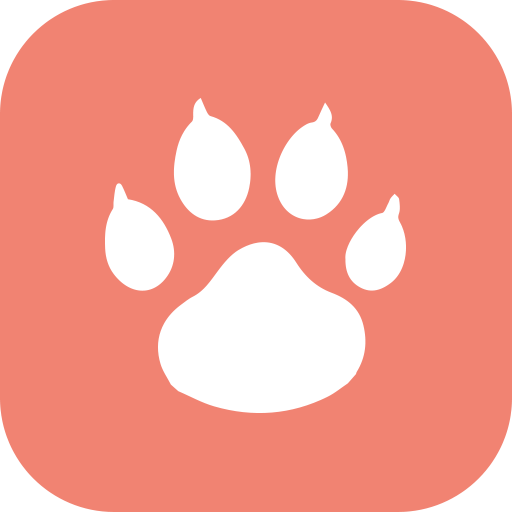 It actually has some big improvements when compared to the human version of the app − none of the members of this social group are making duck lips in their profile photo, and they are all naked! Why can't Tinder be more like that? The app is pretty simple. First, you upload a photo of your pooch (as in your dog, not the flabby tummy you got from choosing to find a date on your phone instead of going for walks) and yourself as well if you want to get in on the action (presumably with the other dog's owner, but hey, I don't judge). After that, you and Air Bud can browse pictures of all the other dogs in your area. When you see some tail you want to chase, just like the photo. 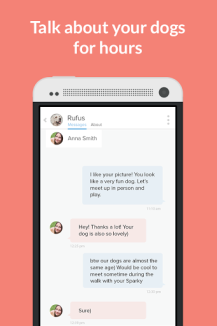 If you are liked in return you will have the opportunity to message the other dog's owner and maybe even set up a date to smell each other in person. Might I recommend a walk together at the park? If this looks like fun to you, then feel free to check out Tindog by clicking the widget below. Or, if you are like me, and think this is rather odd and bizarre, feel free to share your thoughts in the comments below.